The audio launch of Rajinikanth and Akshay’s 2.0 will be held in India this Diwali. According to a leading daily, the makers of Rajinikanth’s 2.0 will be beginning its promotional campaign in India from this October. A grand audio launch will be held during the festive season of Diwali. The event was initially supposed to take place in Dubai, however, now it will take place within the country itself. Confirming these plans, a source revealed that initially, the promotional activities will take place in the Southern states. Thereafter, the makers will begin promoting ‘2.0’ in other parts of the country. “The filmmakers will start organising promotional events from October. The makers are also planning different types of promotions state-wise down south, which will go on until December end. And from January first week, the makers will ramp up the promotional activities across India,” added the source. 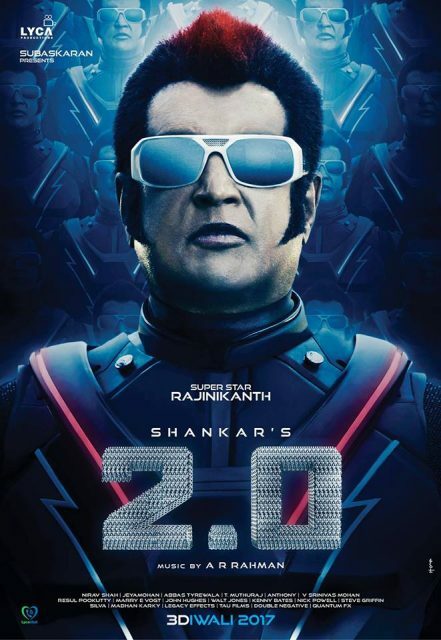 The source went on to add that Rajinikanth—who normally refrains from promoting his movies—will be a part of the promotional activities for ‘2.0’. “Obviously, this is a big film. Big budget. Expectations from this film are completely on a different level. Rajinikanth sir will do his level best in promoting the film,” added the source. Interestingly, some time ago, the makers of ‘2.0’ kick-started its promotions at an international level when a specially designed hot air balloon had taken off from Los Angeles amidst much fanfare. In case you did not know, ‘2.0’ is touted to be a sci-fi thriller and has been directed by Shankar. Besides Rajini, it also features Akshay Kumar and Amy Jackson. Akshay will be a negative role in this one. So, are you looking forward to the release of ‘2.0’? Comments, please!